For forty years, as our ancestors traversed the Sinai Desert, following the Exodus from Egypt, miraculous "clouds of glory" surrounded and hovered over them, shielding them from the dangers and discomforts of the desert. Ever since, we remember G‑d's kindness and reaffirm our trust in His providence by dwelling in a sukkah--a hut of temporary construction with a roof covering of branches—for the duration of the Sukkot festival (on the Jewish calendar Tishrei 15-21). For seven days and nights, we eat all our meals in the sukkah and otherwise regard it as our home. Click here for more information about the Holiday. See below for some local Sukkot events! “You shall take for you on the first day (of Sukkos) the fruit of goodly trees (Etrog), branches of palm trees (Lulav), boughs of thick trees (myrtle), and willows...” Click to read more and to order your own set! 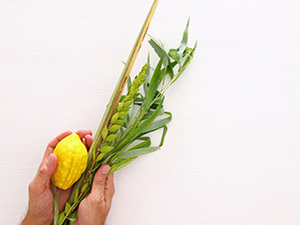 Allow us to bring the sukkah to your home or business or come visit us at some of the popular locations where we park our pedi-Sukkah on the Holiday of Sukkot. Join us for dinner in Chabad of Cole Valley's Sukkah! Three dates to choose from.